Is it possible to look work-ready without wearing a collared shirt? It is if you're wearing this Wrangler Riggs Men's Navy 3W760 NV Short Sleeve Henley Shirt. The look is sharp, the feel is relaxed and soft, and it wears like iron. 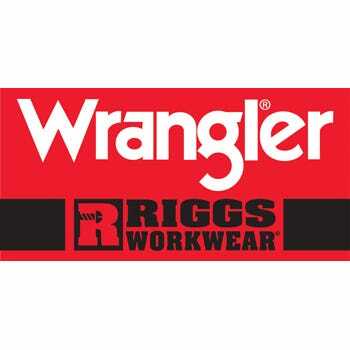 Part of the Riggs Workwear co ... (see full details) (see specifications) #WRG3W760NV. Is it possible to look work-ready without wearing a collared shirt? It is if you're wearing this Wrangler Riggs Men's Navy 3W760 NV Short Sleeve Henley Shirt. The look is sharp, the feel is relaxed and soft, and it wears like iron. Part of the Riggs Workwear collection, this classic henley pullover top is constructed to perform in the toughest working conditions. It's manufactured from 7-ounce 100% ringspun cotton jersey and delivers the breathable comfort of natural cotton plus added softness and durability. You can wear it alone or layered, making it ideal for any weather condition. Triple-needle stitching and side seams that are taped and vented add durability and breathable comfort. Made to work with fit that's relaxed and comfortable, this men's workwear top gives you plenty of room to move. It works with you not against you as you bend, move, and stretch. A taped neck seam and tagless label do away with labels that can scratch at your neck and add clutter that just gets in your way. A left chest pocket and utility loop add convenience. In rich navy blue, this men's top goes with anything, and a flat neckline and two-button placket deliver the comfort of a tee plus an elevating touch of style. Wear it layered or wear it alone; this shirt adds versatility to your workwear lineup. This durable men's shirt is great for all kinds of work. With superior comfort and good looks, you'll find yourself reaching for it after hours, too. We have them in plenty of colors, so you'll be ready for any occasion. Order your Wrangler Riggs Men's Navy 3W760 NV Short Sleeve Henley Shirt right here at Working Person's Store today! 141 out of 142 people found this product review helpful. These Wrangler/Riggs Henley Shirts are a very Nice Shirt. I have this Navy colored one and I'm 100% happy with it. I have a lot of Henley Shirts in both the Wrangler and Carhartt brands, and these Wrangler Shirts are every bit as Nice as the Carhartt Shirts (if not more so). They are a fairly heavyweight material, and the Collar is actually stitched a lot better than on the Carhartt Shirts. Very well made Shirts that I would highly recommend! 117 out of 117 people found this product review helpful. These days with so many styles and types of t shirts I've found one that not only looks fashionable but looks great. I wear a lot of polo types but this type of henley just looks and feels better than a polo shirt....and wears better and costing less. 101 out of 101 people found this product review helpful. There are times when you just want to relax with a nice T shirt that doesn't look like your typical T shirt...you want to wear something that looks nice and is fashionable at the same time and this is your shirt. It can used as an under neath shirt or just as it is and with so many color you can look your best anytime. Wrangler Riggs Shirts: Men's Navy 3W760 NV Short Sleeve Henley Shirt is being added to your cart.